Thryothorus mexicanus Swainson, 1829, Real del Monte, Hidalgo, Mexico. French: Troglodyte des canons; German: Schluchtenzaunkönig; Spanish: Saltaparad Barranquero. fine decurved bill, quite unlike any other species in its range or habitat. Crown and nape are gray-brown, back is reddish, rump is chestnut. Throat and upper chest are white, contrasting with chestnut-brown belly and rich red-brown lower belly. Crown and back have numerous white speckles; wing and tail feathers have blackish transverse bars. Eyes are dark brown, bill is grayish black and paler at base, legs are dull gray-black. Sexes are similar. In the juvenile, pale speckles on upperparts are obscure, and underparts are less brightly colored. 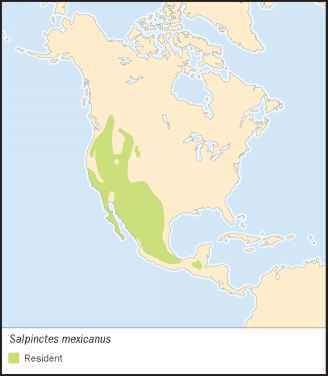 Mountainous regions of western North America from southern British Columbia, east to Montana, Wyoming, South Dakota, and western Texas; south through Mexico to Oaxaca and dis-junctly in Chiapas. Largely sedentary; northern populations descend in winter. 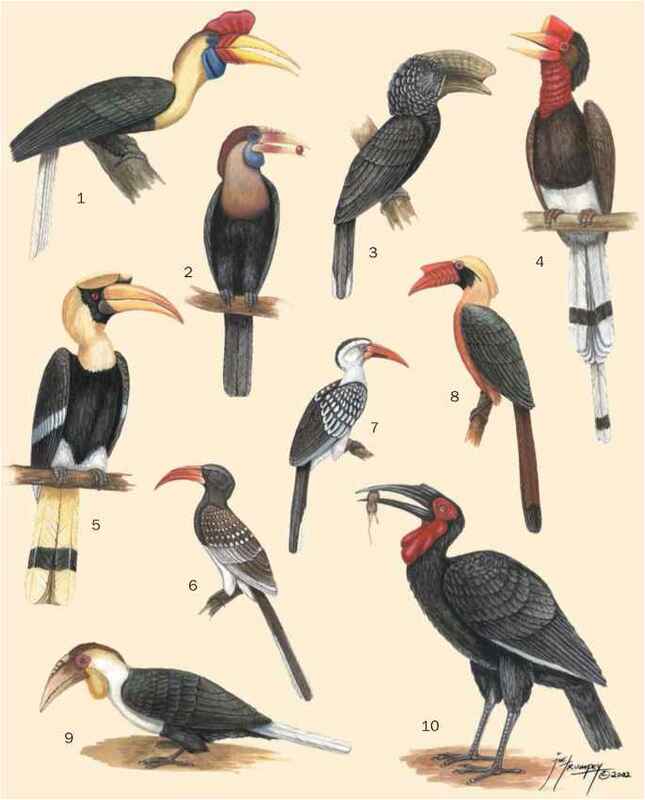 Some vagrant records outside breeding range. Confined to areas with rock faces, canyons, bluffs, and, rarely, sea-coasts; also occurs in ancient ruins, especially in Mexico. Sea-level to 9,800 ft (3,000 m), lower in northern parts of range. Forages on rock faces, over which it crawls much in the manner of a wallcreeper; the tail is not used as a prop as in the true creepers. Frequently enters narrow crevices and cracks in rock face; will sometimes hawk for aerial prey, more rarely forages on ground. Song is a superb descending trill, ending in a series of six or seven beautiful clear notes. Specially adapted to gain access to narrow cracks in rock; the long bill, flattened head, special articulation of the skull and spine, and widely spaced legs are all adapted for this purpose. Food is entirely invertebrate, including beetles, spiders, ter mites, etc. Has been seen to steal paralyzed spiders from nests of mud-dauber wasps. Monogamous. Nest, built by both sexes, is an open cup of hair, feathers, and wool with a base of twigs situated in crevices in rock faces; sometimes in artificial cavities in ruins or buildings. Eggs number three to seven, usually six; they are glossy white with fine reddish spots. Clutch size is smaller in Mexican populations. Incubation is by the female alone, for 12-18 days. Young are fed by both parents for 12-17 days. Does not build special roosting nests. Not threatened; the remoteness and ruggedness of its habitat gives it substantial protection.